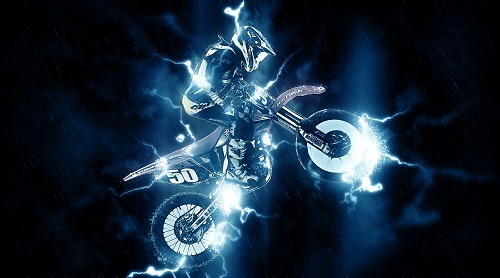 Extreme sports pack an adrenaline rush like nothing on earth. These activities that generally relate to extreme physical exertion, height and speed are often also known as adventure or action sports. As a general rule, an extreme sport is one that’s has at least some danger involved. Nowadays, extreme sports athletes are stronger and faster than they’ve ever been. As the participants get stronger, so too is technology benefiting their aims. There are many traditional ways to prepare for the extreme heat or cold that’s often the backdrop to an extreme sport. For example, a participant can go abroad to train in a place that replicates his competing environment. However, this is financially prohibitive. So, what can athletes do to adapt? They can train in hot chambers that get them used to the temperature and humidity in which they’re set to compete. Cryotherapy is similar in concept to an ice bath. However, its benefits are reported by many athletes to be far better. How it works is an athlete stands in a cylindrical chamber for a few minutes. Extremely cold air is then pumped around their body. The air temperature in the chamber can drop to as many as 300 degrees below zero during this time. Anecdotal evidence suggests that sportspeople often feel an instant recovery after the treatment. Fans of extreme sports can never get enough. Right at this moment, arguably the most exciting development in filming extreme sports and giving fans a real feel for what their favorite athletes are contending with is the GoPro camera. In fact, Red Bull have partnered with the company to make it its official POV camera for its events. Seeing things almost through the athletes own eyes is a way of immersing the audience in an extreme sport. Viewers can become an actual part of the experience and feel the adrenaline. The internet allows extreme sports fans to view almost any event around the world as it happens. Gone are the days when people needed a subscription to a certain cable channel to get their next fix of their favorite adrenaline-fueled event. Fans are constantly connected to social media via their handheld devices. This is a market that should not be underestimated. Regular team updates spawn likes as well as new and sustained interest. In addition, through social media, fans can meet other people with common interests. By providing them with their own participating roles, they feel further immersed in the experience and appreciated by their extreme sports heroes. Finally, another very exciting technological area is biomedical software. This can monitor every tiny movement made by an athlete’s joints and muscles, thus enabling them to refine their technique. Through this, completely personalized training regimes can be created that focus on the specific areas that need the most work. Extreme sportspeople no longer need to follow generalized routines. Instead, the software actively helps them to bring out the best in their bodies. There’s so much to be excited about regarding the current technological advances in extreme sports. Remember though that today’s big new thing will be outdated tomorrow. New developments and improvements in sports tech are continuing on a daily basis. The extreme sportspeople of today are perhaps the luckiest they’ve ever been. This entry was posted in News and tagged Extreme Sports, Technology. Bookmark the permalink.